Competency-based learning is a strategic learning approach that defines the competencies needed to achieve your organization’s strategic goals. Competencies are the building blocks for high-quality individual and organizational performance. Check out our quick video overview! Competencies are the observable behaviors, abilities, skills, knowledge, and traits that are necessary for high performance in any given role. How do competencies work in practice? We establish the competencies necessary for success and develop a “competency framework” that becomes the template for personalized learning and development. We assign levels from beginner through to mastery for each of the competencies established in the framework, which can be changed over time as new skills and competencies are required. Click on the button below for an interactive demonstration of what how competency-based learning works and the business value it can bring to your organization. How does Competency-Based Learning deliver business value? Competency-Based Learning features in every aspect of your strategic vision. Here is a diagram that illustrates the dynamic role that competencies play in your organization. 1. Business Drivers: Once you have established the goals of your organization, you can decide what business drivers are needed to achieve them. 2. Sales Competencies: Once you have established the goals of your organization, you can decide what business drivers are needed to achieve them. 3. 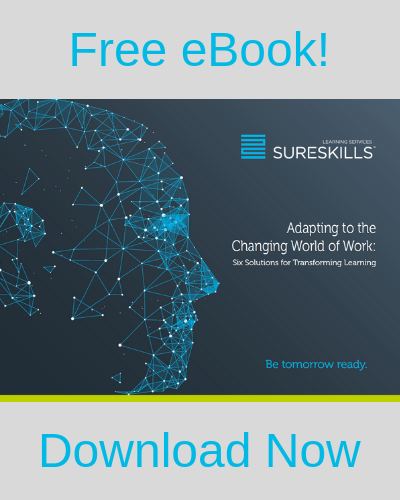 Empower your Teams: Your learning and development team will use competencies to identify skills gaps, measure learner progress, and plan for future training investments. Your HR department will use these competencies to hire the most suited candidates for the competencies required for organizational success. What are the different types of competencies? There are three different types of competencies - behaviors, knowledge, and values. Behaviors: Behaviors are the range of actions and mannerisms made by individuals, in conjunction with themselves or their working environment. Knowledge: These are the tacit and explicit facts, information, and skills acquired by a person through experience or education, that allow theoretical or practical understanding of a topic and/or subject. Values: Values are the operating philosophies or principles that guide an organization's internal conduct, as well as its relationship with its customers, partners, and shareholders. Everything we do is highly tailored to each organization's specific needs, however, there is a general sequence of events in the life-cycle of a competency-based learning approach. Here is a diagram to explain! For more information, get in touch with one of our experts by clicking the button below!